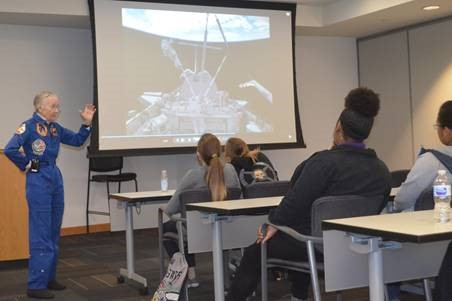 Recently, our colleague, Shany Seawright at Connected Aviation Today had the opportunity to speak with retired NASA Astronaut, Mary Cleve, about her career and why she’s encouraging girls to explore careers in engineering and other STEM fields. Cleve’s path to the Space Shuttle was definitely not straightforward and she had to overcome many challenges and societal biases to get there. Read on to find out what career options Cleve had to consider before a major legislative change in 1972 opened doors and helped her achieve her goals. “Never be afraid to follow your passions,” Mary Cleave told me in a recent interview about her career and her path to becoming a NASA astronaut. I talked with Cleave, a retired engineer and U.S. Astronaut, after she was announced as the speaker at the Collins Aerospace’s “Introduce a Girl to Engineering” event. The event brings together middle and high school girls and exposes them to careers and role models in science and engineering. 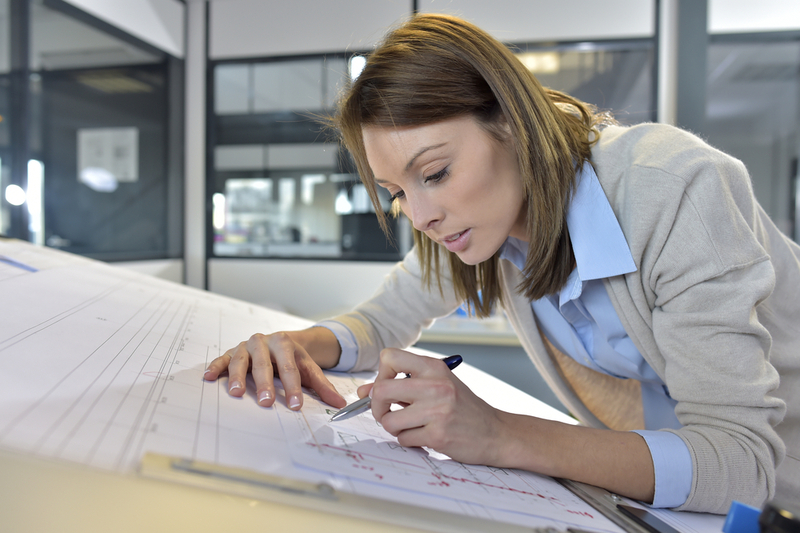 It also helps them identify the interests that will help them define a career path. Cleave speaking at the Collins Aerospace “Introduce a Girl to Engineering” event. 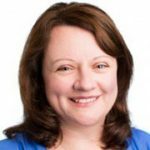 Cleave never set out to be an engineer or astronaut; instead, she followed her interests. When she was 14, she decided she was going to fly a plane. This ambitious goal was the culmination of a childhood fascination with aircraft – from toys and model airplanes to the stories that she heard of her uncle, a pilot who died in combat during World War II. 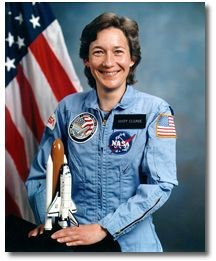 But that interest in flight, combined with a couple of other defining moments, created a career path that led to her two missions in outer space. As with all great ambitions and plans, there were obstacles to overcome. When she’d set the goal of learning how to fly a plane, her parents, while supportive, made a deal with her: they would drive her to the lessons if she earned enough money to pay for them. Cleave surprised her parents by earning the money. With hard work, dedication, and her first lessons in overcoming gender bias, Cleave earned her pilot’s license well before she earned her driver’s license. There were still more challenges ahead for Cleave. “Back then, there were only two ways for a woman to work in the aviation industry,” Cleave shared. “You could be a nurse in the military or you could be an airline stewardess.” By the time she graduated from university in 1969, she knew that she wasn’t cut out to be a nurse, so she applied to be an airline stewardess, but found out that at 5’2”, she fell short of the height requirement of 5’4”. Still following her hobbies and interests, Cleave went back to college to further her studies, this time pursuing a Master of Science degree in Botany. It was during that time, that Title IX of the Education Amendments Act of 1972 was implemented. Title IX was the turning point for Cleave because it opened the door to more educational opportunities for women. When she had pursued her undergraduate studies in Colorado just a few years before, Cleave was limited in the fields she could choose from. However, under Title IX it was illegal to discriminate against women pursuing professional education so Cleave signed up to become an engineer and found a career path that fit. “I’m better off being an engineer than a scientist because I really like to get things done and change more rapidly than what would have been good for a scientific career,” she shared. Title IX also ended up opening the door for a more diverse population at NASA. With astronauts predominantly recruited from military pilots, they were overwhelmingly white men. So, when NASA was looking to diversify its science and engineering workforce it turned to women and people of color. “The world is constantly changing, and you never know what your opportunities are going to be,” Cleave says. Harkening back to her botany studies, Cleave shares her perspective on how plants and people both have “periodicity,” or a time for adjusting and growing in current conditions. “I think people have a periodicity too. And you must figure out what that is for you. For me, it is 10 years and at that point, I have to change what I’m doing and move on to something new.” If you learn your periodicity and also learn from the smart people around you about what you contribute to the environment, Cleave says that you could be like her and go from being too short to be an airline stewardess to being a flight engineer on a space shuttle.